Marc: OMG! 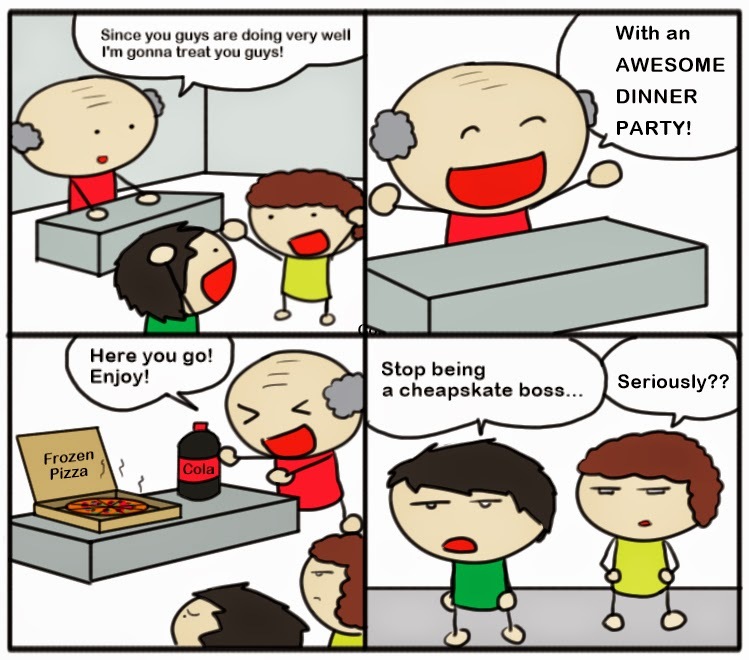 Eric is such a cheapskate! He brought a tiny bag of candies for Peter’s kids on their birthday! Anne: Really? I can’t believe it. I know he likes to save money, but they are his nephews! Marc: Not only that, Peter always makes really nice gifts on his birthday! Remember last year’s? Anne: Oh yeah, Peter got him an iPad Air 2!! The expression “to be a cheapskate” means to be unwilling to give or spend money, to be miserly or stingy.